RISE is a group of women lawyers committed to supporting professional growth through a shared commitment to the advancement of women lawyers to becoming equity partners, general counsel, and high-ranking public officials. We are dedicated to developing and growing a healthy book of business as well as the necessary tools to shatter the glass ceiling in public service and corporate America. Co-Founders Celeste and Elizabeth formed RISE to focus their business development activities and find women interested in doing the same. Celeste Brecht is a Partner at Venable, LLP. She is a trial lawyer, focusing on complex civil litigation. Celeste has tried cases in both state and federal court, and has obtained successful jury verdicts for her clients. 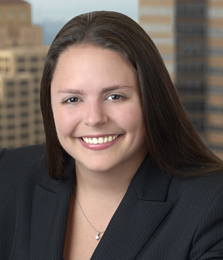 Elizabeth Glasgow is a Partner at McDermott Will & Emery LLP. She is a trust and estate attorney who provides clients with strategies for wealth preservation. Elizabeth’s clients are both high-net worth individuals and closely-held business entities. Heidi Yoshioka is a Partner at Bowman and Brooke. She is a trial attorney who focuses her practice in complex products liability, premises. and general liability litigation matters. Ms. Yoshioka has extensive experience representing clients in the food product, transportation, heavy machinery, and hospitality industries. 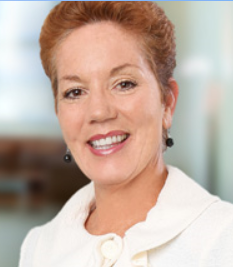 Mary McKelvey is a Partner at Polsinelli. She is recognized for her ability to coordinate key defense strategies in complex cases involving numerous defendants. Before practicing law, Mary enjoyed a successful career in finance – designing, implementing and funding pension plans for several Fortune 500 and other companies. Celene Chan Andrews is a Partner at Kasdan Lippsmith Weber Turner LLP. Celene oversees all aspects of federal and state litigation in trial and appellate courts. Celene’s practice includes class actions, mass torts, construction defect, intellectual property, entertainment, personal injury and general business litigation. Jessica Kronstadt is a deputy district attorney for the Los Angeles County District Attorney’s office. Ms. Kronstadt has prosecuted a variety of crimes including domestic violence, sexual assault, criminal threats, stalking and animal cruelty. 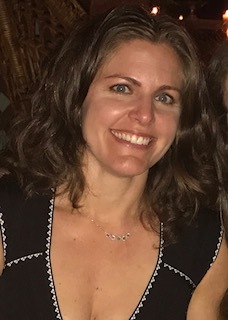 After graduating from law school, Ms. Kronstadt worked as a litigation associate at Latham & Watkins and as a staff attorney at Bet Tzedek Legal Services. She currently serves as Secretary of the Women Lawyers Association of Los Angeles (WLALA). marathons. 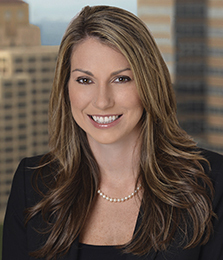 Jayme Long is a partner in the Complex Tort division of Dentons’ Los Angeles office. She is a trial lawyer focused on defending companies faced with complex litigation matters in a broad array of areas, including product liability, mass tort, toxic tort and premises liability suits. Please contact Celeste Brecht at 310.229.9974 or cmbrecht@venable.com for general questions about RISE.